Welcome to BBT Breaking Barriers Translations! Based in the United States, we provide translation services for government, corporate and individual clients in the US and internationally. Our team of translators consist of native speakers and culturally sensitive translators who are skilled in medical, legal and financial languages. When ordering a translation from our agency, the final result of the translations has a professional format, and is a replica of the original document. Our schooled translators have a clear knowledge concerning government requirements in regards to the translations of official documents including immigration and employment applications, as well as a wide variety of legal contracts. 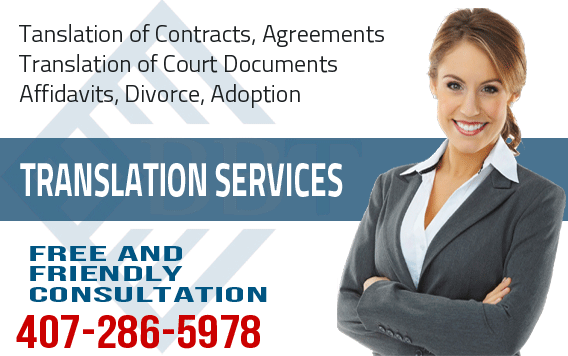 Each translator specializes in a different field such as legal, financial, medical, and more. 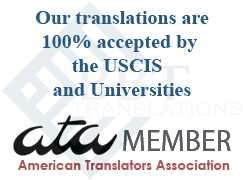 We offer translation from and into just about every language in current use. Our quality control process begins the moment you contact us and carries through until even after we have delivered your translation to you.